The expert committee headed by Sri B.S. Baswan is gathering feedback from UPSC aspirants on certain issues connected with Civil Services Examination. The Baswan Committee was constituted on August 2015 to look into issues pertaining the eligibility, syllabus, scheme and pattern of UPSC Civil Services examination. Aspirants can take the survey at the link – https://iimb.qualtrics.com/SE/?SID=SV_2t54PfUg0oNAMrH. An expert committee consisting of leading academicians, technocrats and senior bureaucrats of national repute has been constituted to revisit the entire pattern, syllabus and eligibility criteria for IAS / Civil Services examination. Sri B.S. Baswan – Chairman. Shri M.P. Tangirala, Additional Secy (Examination), UPSC. Based on the report of the Baswan Committee, further changes in the civil services exam pattern will be contemplated with the primary objective of providing a level playing field to aspirants from diverse streams of curriculum like mathematics, engineering, medicine or humanities and at the same time, also ensuring that the youngsters who took up IAS as a career possess a genuine aptitude for administrative job. To evaluate the effectiveness of the existing scheme of the Civil Services Examination in selecting suitable candidates for the Services participating in the Examination, keeping in view various factors such as the need for inclusiveness in the selection process, fair mix of candidates from different disciplines, the skill-sets required for a modern, effective and efficient civil service and trainability of selected candidates, after reviewing the recommendations of previous expert committees in this regard. To examine the Plan of the Examination and suggest suitable changes to both the Civil Services (Preliminary) Examination and the Civil Services (Main) Examination (including the interview process), including, inter alia, whether there is a case for prescribing different papers for selection to different participating Services, the number of papers in each stage, mix of compulsory and optional subjects, their structure (whether objective or conventional type), their duration, broad areas to be covered in each paper, medium of examination, the marking scheme, weightage of marks, and system of evaluation, so as to arrive at an Examination pattern that is holistic and does not exhibit any bias for or against candidates from any particular stream, subject area, language, or region. To examine the time-frame in which the Examination is conducted and suggest suitable changes to reduce the time taken for selection of candidates by utilizing information and communication technologies, as well as by making changes to the various procedures mandated by the Examination Rules, including the methodology for operating reserve lists / waiting lists (if any). 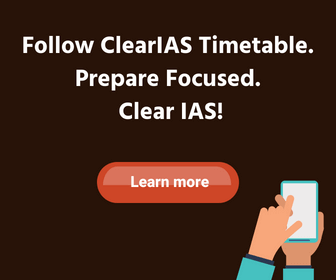 To suggest the timeframe for implementation of the revised pattern of Examination. To suggest suitable eligibility criteria for candidates appearing at the Examination, with particular reference to minimum and maximum age limits and number of attempts; to review the eligibility criteria for candidates, who have already been selected to different services, and who desire to reappear for selection to some other Service. To suggest a mechanism for designing and periodically updating the syllabus for each of the papers in the two stages, including unitization of syllabus, proper coverage of content, and balance across subject papers, such that the syllabi are comprehensive, up-to- date, and suitable for a competitive evaluation of the merit of the candidates appearing at the Examination. To review the logistical requirements and constraints of conducting the Examination in view of the increasing number of candidates taking the Preliminary Examination and suggest improvements, given that almost half the number of candidates who apply do not appear at the Preliminary Examination. To examine any other item that the Expert Committee feels is relevant to the process of selection or which may be referred to the Expert Committee by the Commission/ Government. Note: The Expert Committee may devise its own procedures and may take the assistance of such experts and institutions, and interact with such academic and professional _ institutions as it may consider necessary, in consultation with the Commission. Note: The Expert Committee will submit its report within six months of its constitution. Union Public Service Commission has not commissioned this survey and it is only an information gathering exercise being undertaken by the Expert Committee. 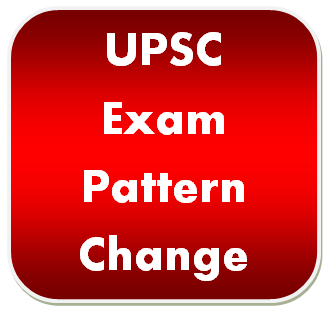 Aspirants can take the survey on UPSC CSE Exam Pattern after entering the name and email id. UPSC have agreed to extend the time given for Baswan Committee by 6 months. Expert committee will accordingly submit the report by 11th August, 2016. What will be the age limit aftr Baswan committee report for general ctgry? I think the max.age limit should not be less than 30 yr.for gen. Cat. completely agree….aspirants should protest if any reduction in age limit…..
no, age limit atleast must be 34 years. I think the max.age limit should not be less than 10 yr.for gen. cat. Good evening sir, i am shiva from telangana. i am not asking in fluent language. sorry for this. sir, my school egication upto 10th is govt school so i am not get english and hindi in clearly. i am started english and hindi subjects in 6th class. and after 10th hindi is not subject and english is only one subject to a year. now i am completed degree bot i dont have hindi and english. but i want a civil service officer i have subject knowledge but now i cont explain in hindi r english. so how to write i am. is north states are only india…?, what is about south indians. we are some peoples r poor so we didnt get private study thats why we r here. but, is indian govt for rich people r all…?, if all how to take all indians, our language is not hindi and english so how to get understand. sir we want civils in our state languages then we can explain clearly, other wise we are going back…..
@Shiva: Civil Services Mains exam as well as interview can be attempted in regional languages as well. My plea to baswan committee is that why not entire pattern of exam be changed on the lines of GRE of ETS and IELTS type wherein the exam is conducted year round and the candidates pick their date of examination.In the present model the whole future of a candidate lies on that one particular fateful day if at all he misses.after all India has to go digital.why not computer based exam be brought in.this can be a solution to meet the problem of age relaxation and the number of attempts. After all Indian bureaucracy needs to be more efficient.why still linger on the old colonial British hangover? There will be no change in 2017 exams. Any major change will be only for 2018 exam. I m from Dhumdangi,a remote village of West Bengal where I do not find a newspaper that is helpful for competitive exams like the one,IAS.I had my schooling till Graduation on BENGALI version. 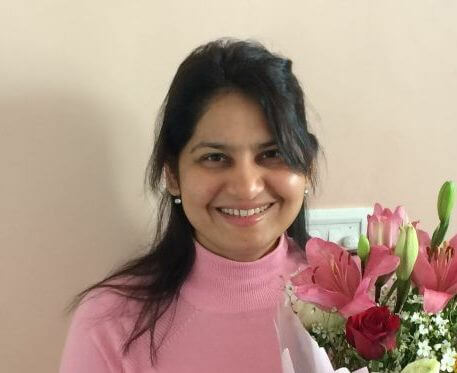 I was appointed as Lab-Attendant (Gr.D post) at the age of 25.Now ,I have been living in a small city.I did not know anything about IAS till then. At the age of 26,I came to know about UPSC that selects officers like ADM,DM,ASP,SP etc. I went thruogh the syllabus and criteria,and I understood that it would be quite tough to crack the exam reading books on Bengali version,and truly speaking, publishers do not show any interest to publish books in Bengali version for UPSC as no requirements from us.Even some of the Toppers and well known institutions and app(s) like you suggest us to read such books that either on English or Hindi version. So I started to learn English, and it already took 2 years and I don’t know whether I have done it or not.Democracy offers everything for all. If it’s true,then there must have something wrong. If age limit is reduced to 25 or 26 or 27 ,if no. of attempts is reduced, The UPSC or THE CENTRAL GOVT. should first introduce a system through which every bachelor degree holder will come to know about UPSC or such exams.If it not done or something like that, I am sorry,but I must say that the cherished goal of the constitution makers to have a democracy where everything will be for everyone have not been fully realized. I wrote the above words thinking about such aspirants who wish to appear in the IAS but feeling stress due to the suggestions given by the Baswan Committee. We don’t want to see an administration where officers will belong either from cities like Delhi,Chennai, Kolkata,Siliguri etc or be a son/daughter of the same background. Due to lack of awareness, inaccessibility , and for some other reasons like poor economic condition, many students in remote areas couldn’t appear the CC Examination conducted by UPSC during the eligibility age period as prescribed by UPSC. However, they get selection in Govt. service and get exposure to the Govt. Machinery. After sometime, they get access to such information, by the time it is already getting late and age is over. I think it will be very much helpful for such candidates if the committee decide to consider age limit at-least upto 40 with minimum 3 years regular service. Moreover, the experience in the field of Govt. machinery/service can add quality and can best serve the public by understanding the needs of the people. your means that who persons have above 26 year. he must decision for suicide ..
Sir, if all mains examination is taken in the form of objective type, that will be very fair because who are toppers in preliminary, get failed in mains. Reason that trend of giving numbers depends upon man to man and ultimately students say that it was my badluck that I have secured higher marks in preliminary exam but failed in mains. In my view, all competition should be in objective type question-answers as objective type papers are checked by computer and this will be a very fair practice. It is pertinent to mention that subjective paper should be a qualifying paper which is already in the shape of english language. do not remove optionals there are candidates who rely on optionals. Put common syllabus for all…remove optionals. ..have one objective type test in mains to cover diverse topics on prelim pattern but with higher level of difficulty. …..it will reduce subjectivity element. …Make English and language paper compulsory 50 marks each. ..45 minutes test. .. I m 25 years old now n working very hard for CSE but i m confused regarding age wise eligibility as upsc wants to reduce the age So should i start preparing for CSE 2017 or wait for the committee report?? yes off course baswan go back and don’t return in future…..
BASWAN Committee should think about increasing of upper age limit for general candidates .Being in general category we are deprived in everywhere whereas sons and daughters of eminent IAS or IPS officers, though in a leading position, are always making benefits out of this “quota system”. sir, today is August 11 2016, any update regarding the submission of report? Any update of baswan committee report?????? If the upper age limit will get increased then there will be a lack of mature administrators perhaps which will be very much harmful to the development of the country. On one side this government and UPSE itself are emphasising on the growth of the country by strengthening the administrative structure. The candidates who are preparing for this exam at the curcial stage of there career, where they are on the last point of there career. What will happen is that candidate is now fully prepared for the exam by taking huge risk to his career where he could have been something else and well settled but he is preparing for this exam and suddenly he comes to know that due to a commissions report now his career has completely spoiled because suddenly his eligibility has been ruined. Is this the country’s growth? This decision is absolutely wrong and it will purely exploit the freedom that has been given to us by the constitution. The government, instead of decreasing the upper age limit, it should be increased. Only then this country will get the real heroes in the administrative picture because bureaucrats are those who are actually responsible for good governance. its totaly unfair with general candidates.aaj jab ham aazad ho gaye h to fir britisho ki policy apnai ja rahi h.upsc me 2011 se jo silsila suru hua hai uska sabse jyada nuksan rural background aur gen.can.ko hua h.IAS EK JOB NAHI EK AUTHORITY HAI AUR ISKE LIYE MATURE PERSONALITY KI JARURAT HOTI HAI NA FUNKY YOUTH KI.AUR RAHI BAT NAITIKTA AUR NISHTHA KI TO CSAT SE NAHI WO SONCH BADALNE SE AAYEGI.CSAT TO SIRF TECH AUR NON TECH KO DIFFERENCTIAT KAR UNKO BAHAR KARNE K LIYE H.UPER AGE LIMIT KAM KAR DENE SE SYSTEM BADLAW NAHI ANEWALA H.USKE LIYE EK FULLY SENSITIVE AUR MATURE PERSONALITY KI JARURAT H.UPPER AGE LIMIT GEN.K LIYE 35 HONI CHAHIYE KYUKI KOI JARURI NAHI H KI GEN H TO USKO BASIC FACILITY MILI HI HOGI. UP,,,AGE LIMIT KAM KARNE SE SABSE JYDA NA INSAAFI GEN K SATH HOGI JO KAHI SE V SAMBIDHAN K AADARSHO K ANUKUL NAHI KAHA JA SAKTA.AAP GEN KO RESERVATION NAHI DE SAKTE HO TO MUKA TO DE SAKTE HO NA.26 SAAL KARNA EK RURAL AREA CANDIDATE KE SATH KYA JUSTICE HOGA.SAMBIDHAN KA AADARSH TO SABKO SATH LEKAR CHALNA N KI EK KO DABAKAR DUSRE KA BIKAS KARNA.JAI HIND……. Why do they make change always in central examination and not even touch the state services ???? Age limit for gen. category candidates should not be less than 28 yrs. in any case and optional subjects should definitely be there so that students coming from different streams can also be benefited. Arts students already have an edge over others in GS papers. There should be a level playing field for other students. Optional subjects should exist otherwise UPSC exams would benefit the most to arts students doing injustice to others. UPSC is not the examination for arts students it’s an exam for all. Baswan committee should maintain this exam’s sanctity. TOTALLY UNFAIR DONT EVEN THEY THINK OF REDUCING AGE LIMIT THEY SHOULD INCREASE AGE LIMIT FOR GENERAL CANDIDATES. In my opinion they should increase upper age limit to 35 yrs like state psc…It will be of grt help to economically poorer sections and also rural…. Why do these committees not take them into consideration???? Not everyone will have a knowledge abt these exams…By the time they are set completely for the exams leaving behind their careers,such reports come in between like a spoilsport!!!! Plz consider raising the age limit !!!! Sir what is the advantages in reducing the age limit only for shake of standardisation, think of large number of aspirant who r preparing for their last attempt they will just break down completely ,all their ray of hope will destroy, sir pliz think for them, for established committe it will only be simple decision but for thousands it will be breaking down of journey and hope please please please please think for them descion can give life to thousands. I think dis is govt.strategy to reduce the age limit of general aspirants…because if they debarred from UPSC exam than definitely they move towards the private sector for completing digital india mission of modi……kyoki NDA govt. Chahti hai ki jyada se jyada citizen private sector aur multi national company me job kare kyoki Indian government ne foreign country se Mou/agreement Jo kiya hai agar employee nahi mile to phr aage kaise badega india……wah re andhe leadero tumhe general walo ke sath hi ye krna tha…….constitution utha ke dekho usme ambedkar ji ne only 10 saal ka reservation likha tha……hamesha ke liye nhi agar aisa hi hai to phr sc/st ki bhi age limit change karo…. Bhai logo..dont write here . Write on pmindia.gov.in n say ur thought directly to pm. years old now n working very hard for CSE but i m confused regarding age wise eligibility as upsc wants to reduce the age So should i start preparing for CSE 2017 or wait for the committee report?? Always its the general candidates suffer for gov decisions.. Constitution on one side guarantee equality by one article ad on other side by mentioning other article puya descrimination with in equality. Completly democracy, secularim, socialism etc remains as just words. If upsc things that SC ST candidates of 44 getting into service at late age then you reduce the reservation no: of years quota..why beheading the dreams of gnrl candidates by reducing there age limit from 32 and hence maintaining an anti gnrl and always pro reservation. Alrdy indian educational system, administration, governance is ruined by this so called indian reservation system and thisove to reduce age limit similar to that of colonial india, Mr Baswan sitting in AC cabin taking age limit to administarion capacity ratio of aspirants, who is about in his 60’s,what logic gov is seeingbin all this. No age limit for holding the portfolio of PM CM and even Preaident.Civil service is the steel cage of countries governance amd administration not becose of those bureaucrats from elite family backgrounds..its becose of those who experienced and understood people from poor backgeound gettimg into civil service to do the SERVISE in all ita meaning. Mr Bawan you r going to be the moat hatred person Indian Youth for your irrational report if its going to be implemented..
i strongly feel that age-limit should not be reduced for any category. it can hamper the quality of those who qualify in 3rd or 4th or subsequent attempts. there is also danger that reducing age-limit will affect the enthusiasm of preparing candidates.